This magnificent large mantel clock was designed in the Napoleon III period (1852-1871) in the manner of the leading 18th Century clockmaker, Julien Le Roy. 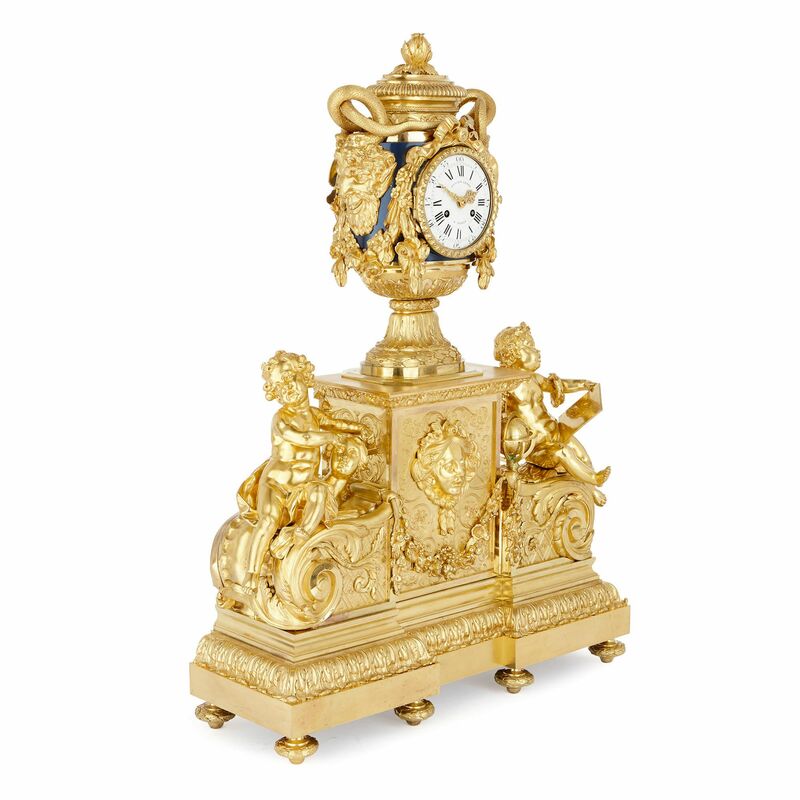 The body of the clock has been crafted from ormolu (gilt bronze). It is composed of a stepped, rectangular base, which is set on eight toupie feet. The base is decorated with a band of acanthus leaves, and is topped by a tall, rectangular block, flanked by two scrolls. Decorated with incised, scrolling foliage, the central block has been mounted with fruit swags and a classical female mask, its top edge fringed with leaves. The leafy scrolls that flank the block feature incised diaper patterns, and are topped by sculptural putti. 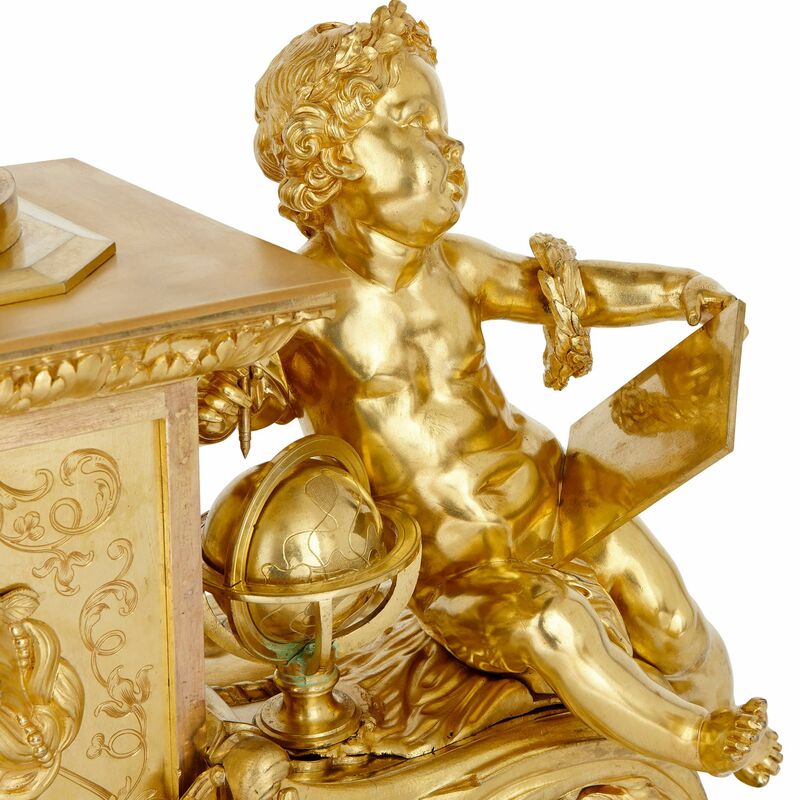 One putti is depicted sculpting a classical style head of a woman, and the other holds a writing tablet and a stylus, which he points at a globe with. These putti appear to represent Art and Science respectively. The central block is topped by a classical urn. This urn stands on a splayed foot, which is decorated with foliage, and features a navy painted metal body. 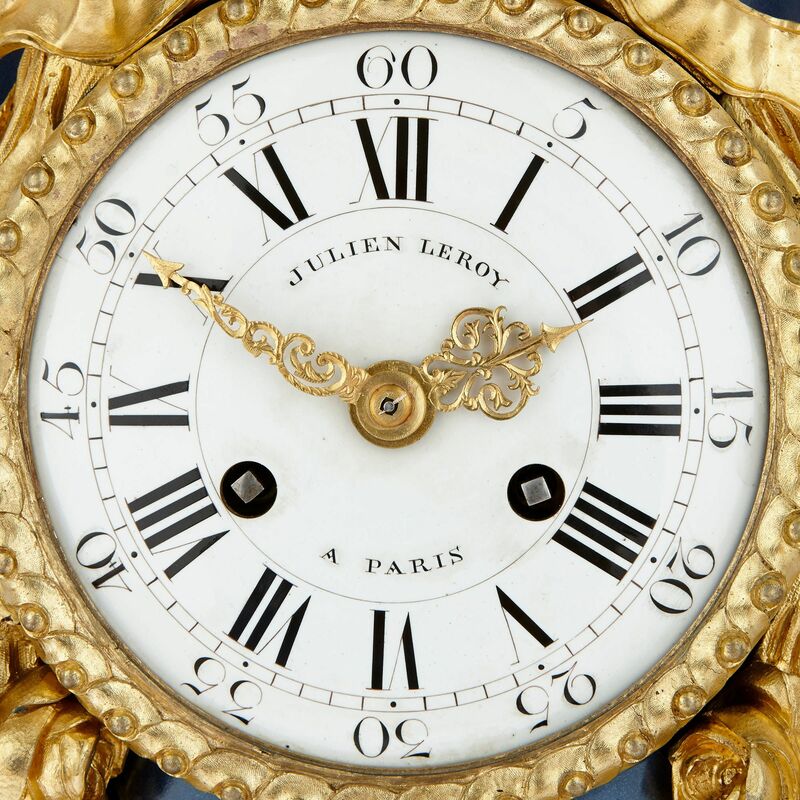 The centre of the body is mounted with a white enamel circular clock dial, featuring both Roman Numerals and Arabic Numbers, and signed ‘JULIEN LEROY/ A PARIS’. 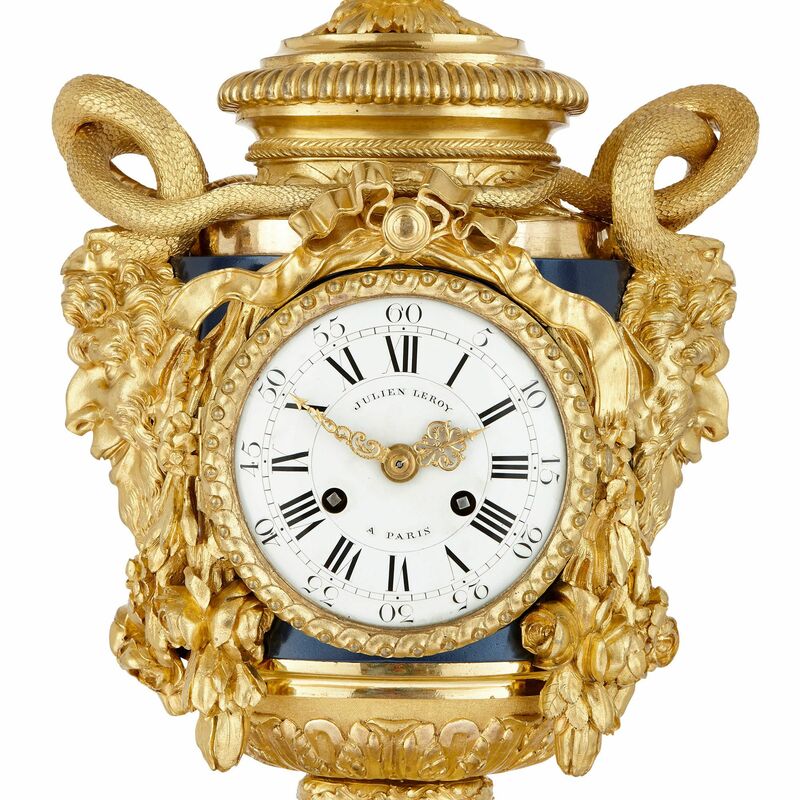 The dial is set within a circular ormolu frame, topped by a crinkled ribbon bow. 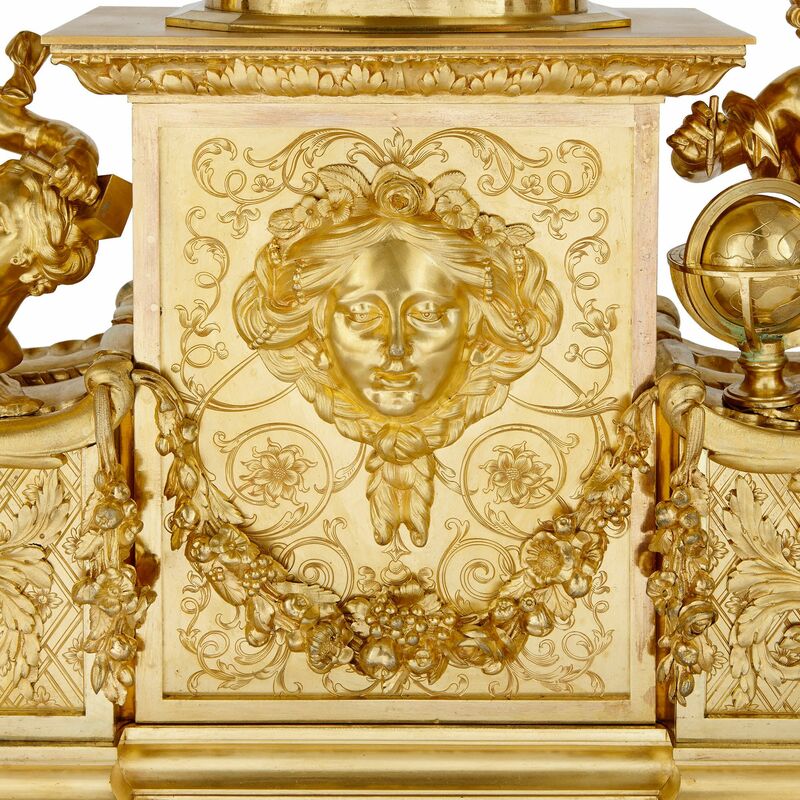 Ormolu flower garlands and grinning satyr head masks decorate the sides of the urn. It is also fitted with two handles, which take the form of swans’ heads, with elongated, twisting necks. 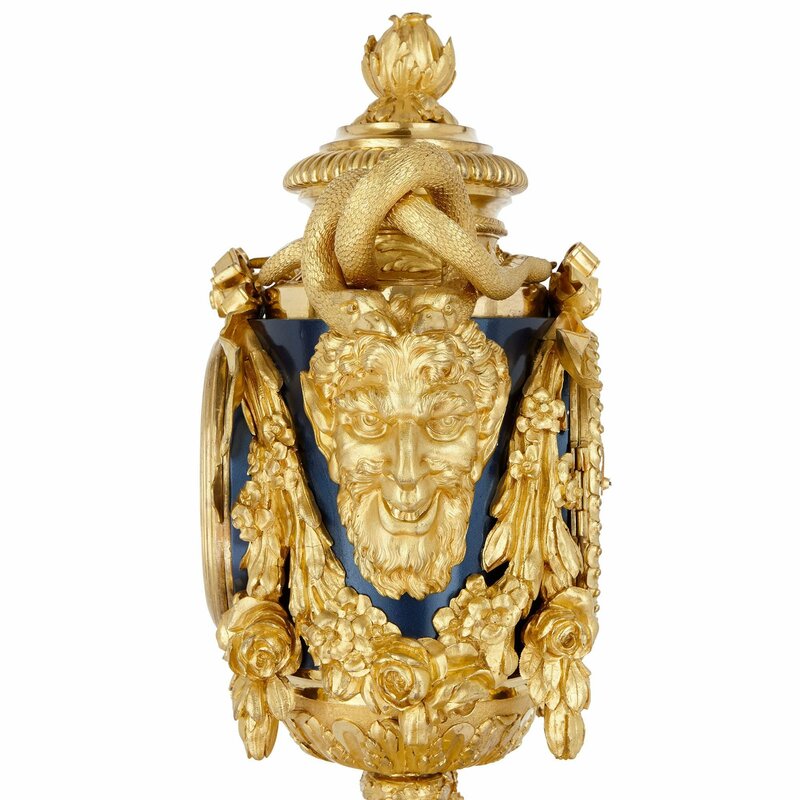 The urn is covered by an ormolu lid, with a fluted edge and flower bud finial. 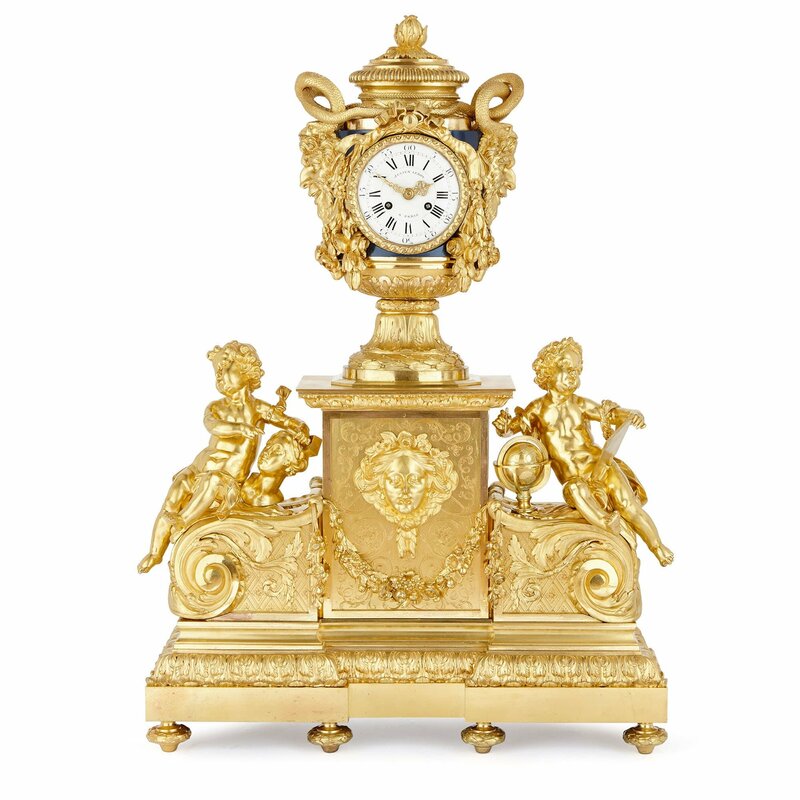 This clock was designed in the Napoleon III period after Julien Le Roy, who was one of the most important clockmakers of 18th Century France. He was famous for both his inventions, which included a repeating mechanism that improved the precision of clocks and watches, and for the exceptional quality of his designs. 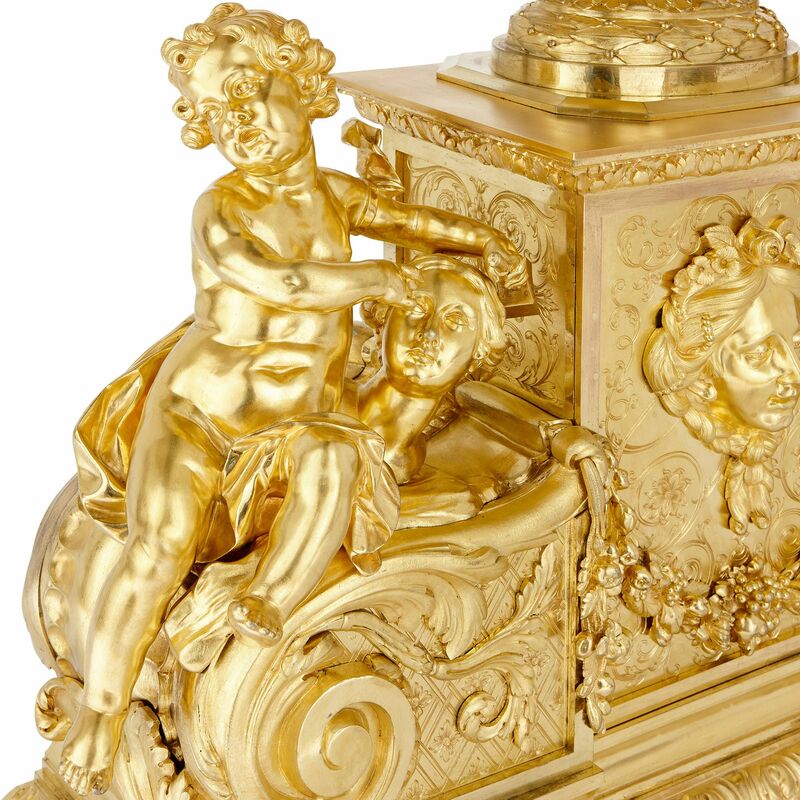 Le Roy sold many of his timepieces to European royalty and nobility.